David E. Ramba is a Tallahassee lobbyist and lawyer who has prospered representing well-heeled clients such as AT&T, the Seminole Tribe and the Florida Chiropractic Association. But these days, he flies his six-seat Piper Malibu around Florida championing the cause of the little guy. His target: the big, bad banks. Ramba, 40, has joined forces with a California attorney and opened offices in Pinellas Park and Boca Raton where employees ask struggling homeowners to join an innovative legal action against their lenders. Prospective plaintiffs are told that nearly 6,000 people have joined the effort and six lawsuits have been filed so far. But there are several hitches. It costs $5,000 to join. Winning a quick settlement is a long shot. Efforts to solicit plaintiffs through cold calls, unapproved mail pieces and commissioned workers also may violate Florida Bar rules, according to experts in legal ethics. Regulators in California and Washington state warn that legal actions like Ramba's are just the latest twist on mortgage relief schemes that charged up-front fees for loan modifications that didn't happen. Federal and many state laws now ban such fees in most cases. 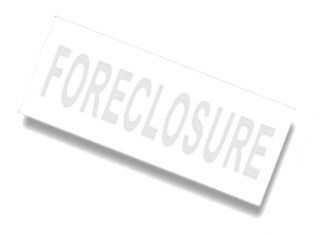 In March, the California Department of Real Estate warned about mortgage relief lawsuits. "Those who continue to prey on and victimize vulnerable homeowners have not given up," it said. "They just change their tactics and modify their sales pitches to keep taking advantage of those who are desperate to save their homes." Ramba's West Coast colleague, lawyer Philip A. Kramer, has already been criticized for promising to negotiate loan modifications that never materialized. The Los Angeles Better Business Bureau gave him an "F" based on 45 consumer complaints. A lawyer in Kramer's firm said it was the banks' fault, not the firm's, that modification efforts failed. Neither Kramer nor Ramba has any record of disciplinary actions. Ground zero in Florida for the new legal assault on the banks is a mostly vacant office complex connected to a Winn-Dixie shopping plaza off 66th Street N.
The gold lettering on the door says Ramba Law Group and Kramer & Kaslow. But instead of starched-shirt lawyers in plush offices inside, there are rows of cubicles. Casually dressed workers are hunched over phones. Their goal: tap into homeowners' anger at the banks and get them to part with some cash. Ramba makes no apologies for requiring a retainer to put someone's name on a lawsuit. "The legal system is available to folks, but it's not free," he said in a recent phone interview. "By coming together, homeowners will receive the same benefit someone with a lot of means could do on their own." Davin Spring, who has a wife, three kids and a barely profitable business in Baton Rouge, La., was sold on the concept. Spring is current on his mortgage, but owes more than his home is worth. When Spring tried to get some relief from his lender, he only got a runaround. So when he got a direct-mail advertisement about a big lawsuit that could force banks to lower homeowners' interest, reduce their debt or maybe even wipe out their mortgages, it caught Spring's attention. He called and reached a representative of Ramba's in Pinellas Park. "They told me they only had two more spaces," Spring said. "They got me hook, line and sinker." It is Kramer, of Calabasas, Calif., who claims credit for the idea of suing the banks after efforts at loan modifications failed. The only way to approach uncooperative lenders, Kramer decided, was to file "mass joinder" lawsuits in the names of thousands of people facing the same obstacles. "We go in with a club and make demands on the bank," Kramer said in a video on the site of Consolidated Litigation Group, an affiliated company. "We're tired of answering questions and resubmitting pay stubs. It's time for the banks to begin answering our questions." Since December, Kramer has filed lawsuits in California courts against Bank of America, Citibank, Chase, Wells Fargo, One West and Ally Bank. The complaints have different plaintiffs, but are nearly identical in the allegations, charging lenders with "massive fraud" that "devastated the values of their residences, in most cases resulting in the plaintiffs' loss of all or substantially all of their net worth." None of the complaints has yet gone to trial or been settled, and neither Kramer nor Ramba could cite mass joinder cases that have been successful against banks. While Kramer's mass joinder strategy is similar to class-action lawsuits, there are a few differences. In class-action cases, the plaintiffs are treated as a single entity and get an equal share of any settlement. Lawyers usually forego an up-front retainer in return for a contingency fee that can range from 30 to 50 percent. In mass joinder lawsuits, the cases are combined for discovery purposes. But individual plaintiff's circumstances are unique and any settlement is divvied up based on the facts of each case. Plaintiffs' lawyers get a share of the proceeds; Kramer and Ramba's contracts call for a 30 percent contingency in addition to the retainer of up to $5,000 per client. Charles Rose, a professor at Stetson University College of Law, said he doesn't doubt borrowers could have valid claims against banks. But he questions whether a lawyer can appropriately represent the conflicting interests of thousands of plaintiffs. And he suspects banks will put up a strong defense. "I would be surprised if the banks roll over on these cases," Rose said. "Because once they settle, it opens the floodgates to other cases. " Kramer, named a "Southern California Super Lawyer" by his peers, said banks will want to avoid a trial and might agree to a settlement as early as next year. Ramba, who said he intends to file additional cases in Florida by October, agreed that a 2012 settlement is possible. "If you determine there's a pattern and practice of loan origination that violates federal law and they profited by that, they're required to disgorge those profits," Ramba said. "All we need is a fact-finding mission determining who was practicing adverse banking laws." Such tough talk has resonated with clients. Philip Warmanen of Jacksonville is a plaintiff in the California complaint against the Bank of America. Warmanen, a 71-year-old travel agent, responded to a direct-mail piece from Kramer's firm this year and signed on when the retainer was $4,000. He said he's current with his first and second mortgages, but his home is worth half of what it was when he bought it in 2006. Warmanen thinks his lender, Bank of America, should share in the loss. While Warmanen was told by Kramer's office that his mortgage might be eliminated as a result of the lawsuit, he would be happy with a cash settlement that could reduce his debt. "I may have gambled $4,000 for nothing," Warmanen said of Kramer's retainer. "But Bank of America is a giant without a heart." A spokeswoman for Bank of America, Christina Beyer, said the mass joinder lawsuit is "without merit." In response to Warmanen's complaints, she said, "The bank is committed to helping borrowers in distress with loan modifications and other loss mitigation alternatives." Even without a settlement or court victory, Kramer has collected a substantial amount in retainer fees so far from the 2,500 plaintiffs named in the California lawsuits. If each paid $4,000 as Warmanen did, it would total $10 million. Colin Sandland of Bradenton talked with a representative of Ramba's Pinellas Park office in June after getting an ad in the mail. While Sandland, who is current on his mortgage, was intrigued at the thought of holding banks accountable, he didn't like the demand for cash up front. Sandland, 65, said he asked Ramba's representative what happened to the retainer. "He said, 'We're on commission,' " Sandland said. "Why would I pay $5,000 to a lawyer who's going to get 30 percent of any settlement? That turned me off." Experts on legal ethics say the way Ramba's office solicits plaintiffs could be problematic. Cold calls are banned by Florida Bar rules, whether they're made by lawyers or someone working on their behalf. This is the case even if the solicitation is made using information from public records, as Ramba said his office does. "It's the oldest problem in the book ethically," said Amy Mashburn, a law professor at the University of Florida. "The idea is how do you protect people from in-person pressure from people skilled in the art of persuasion. A letter will not put people under the same kind of pressure as a lawyer or their representative at the foot of a hospital bed." Likewise, any direct-mail piece sent by a lawyer must be reviewed by the Florida Bar. Though Ramba said his mailer conforms with the group's advertising guidelines, a spokeswoman for the Bar said she does not have any record that he submitted it for review. On Friday, Ramba said in an e-mail that no mailers have yet been sent by the Pinellas Park office. "The office manager down in your area informed me that they HAD NOT sent anything out with my information on it," he said. He did not respond to an e-mail asking how Spring and Sandland would have known to call that office if they had not received mailers with the phone number on it. Florida Bar rules also say it's unethical for lawyers to split fees with nonlawyers by paying commissions tied to retainers. A recent "help wanted" ad for Ramba's Pinellas Park office promised "$1,000 to $5,000/wk Potential." Rose, the Stetson professor, said if nonlawyers are paid a commission based on how many clients sign up, "they may have a vested interest in skirting the boundaries of ethical rules." "That's giving nonlawyers an interest in the outcome of litigation and that's not allowed," he said. Ramba declined to disclose exactly how his call center workers are paid, but said, "It's not fee-splitting." Spring, the small business owner from Baton Rouge, La., gave Ramba's group $2,500 before having second thoughts and stopping payment on the rest of his retainer. Now, he's kicking himself for falling for a pitch that seemed to offer a way out of his mortgage mess. "When I needed help, I reached out," said Spring, who has been unable to get a refund. "Unfortunately, I got the wrong hand."